I knew it was coming. A writer cannot be prolific and profitable without sometimes sacrificing quality. 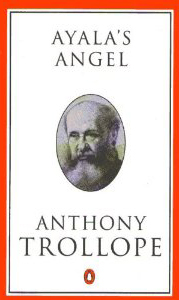 Even so, I was disappointed when Ayala’s Angel by Anthony Trollope failed to delight me the way his other books have done. It is a fun comedy but at times the reading of it felt a bit too much like hard work. …Lucy, who was twenty-one, was supposed to be simple and comparatively unattractive, whereas Ayala was credited, – as her somewhat romantic name might show, – with poetic charm and a taste for romance. Wo betide the reader who dare confuse the girls after that! Trollope could not have been clearer, which, for me, is a sign of one of the problems with this book; I appreciate an upfront author but here Trollope’s characteristic frankness dips far too often into artlessness. With no money of their own, the girls are split up: Lucy goes to live with her hardworking uncle, who has no children and lives shabbily but genteelly in Notting Hill, and Ayala goes to their wealthy aunt, Lady Tringle. There is little overlap between the modest Dossett household and the wealthy Tringle one and for the sisters, used to their artistic father’s extravagant bohemianism, neither house proves a welcoming home. Lucy struggles with the domestic chores that fall to her at the Dossetts while at the Tringles Ayala is horrified to find herself the object of her cousin Tom’s determined affections. The girls run about – Ayala especially, travelling both around the country and overseas – and even switch places, Lucy going to the Tringles and Ayala to the Dossetts as the family tries to figure out what to do with them. Meanwhile, the girls deal with affairs of the heart. Lucy’s romance is very neat: there is a young artist, Isadore Hamel, who used to be friends with Mr Dormer and is still very much attached to Lucy. That is all well and good and very unexciting. Ayala, on the other hand, makes trouble for herself and everyone else but stubbornly clinging to the belief that an ideal man exists. Her angel, as she terms him, is quite out of the ordinary and beyond the reach of most mortals and she will know him when she sees him. Her faith in this fantasy helps her rebuff her cousin Tom but also confuses her as to the state of her feelings for Colonel Jonathan Stubbs, whose unheroic name and appearance mask an affectionate, humorous, and, at times, heroic personality. Of course, all comes right in the end. But that end takes far too long in coming. 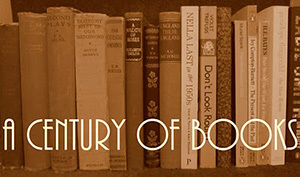 The book is much, much too long. The Dormer sisters are busy enough to have provided sufficient material for a good-sized novel. Trollope, however, felt the need to pad out their adventures with the romantic entanglements of many other couples: there are five marriages in total, all of which encounter some sort of barrier along the way that must be detailed. I usually love Trollope’s colourful supporting casts and their subplots but not here. I could not care about the marriages of Lucy and Ayala’s two spoiled Tringle cousins or the messy entanglements of a young man who sets about courting the younger Miss Tringle though he is really in love with another woman. Trollope concludes “If marriage be the proper ending for a novel, – the only ending, as this writer takes it to be, which is not discordant, – surely no tale was ever so properly ended, or with so full a concord, as this one.” I can’t quarrel with the way he ended things, just that it took so very long to get there! It is generally understood that there are raging lions about the metropolis, who would certainly eat up young ladies whole if young ladies were to walk about the streets or even about the parks by themselves. There is, however, beginning to be some vacillation as to the received belief on this subject as regards London. In large continental towns, such as Paris and Vienna, young ladies would be devoured certainly. Such, at least, is the creed. In New York and Washington there are supposed to be no lions, so that young ladies go about free as air. In London there is a rising doubt, under which before long, probably, the lions will succumb altogether. When Trollope is like this, there is no author I like more. Sadly, this sort of playfulness was in short supply in Ayala’s Angel, presumably because Trollope’s concentration was engaged in arranging all those unnecessary marriages. “I am trying,” said Tom. As much as I missed the warmth and cohesiveness that distinguish Trollope’s better books, this was entertaining. It wasn’t perfect and I doubt I will reread it as often as I will the Barsetshire books but it does have some excellent moments and, in the end, it is Trollope. Trollope off his game is still better than most authors at their very best. I completely agree with your last sentence! I think this is one of his later books, and those don’t seem to have the same energy. I haven’t read this one but I added a copy to the TBR stacks just from the title (well, and because it’s Trollope). I’m not sure if what I felt when reading this was a lack of energy or merely a lack of focus but it is certainly not as crisp as Trollope can be. Still, it is fun and I’ll look forward to hearing what you think of it!